A young patient had serious hematochezia for nearly 2 months without obvious cause. Abdominal CT images showed rare features such as serious hemorrhage and multiple miliary nodules in the small bowel. The colonoscopy showed multiple lymphoid follicles in the terminal ileum. The laparotomy showed adverse adhesion in the abdominal cavity and multiple miliary noduli in the surfaces of small bowel wall. The pathology suggested tuberculosis. This patient received anti-TB therapy and the condition improved gradually. There are many variants of GI tuberculosis demonstrating uncommon and rare imaging features. It turned to be difficult in diagnosis when it showed the rare appearance, such as the great amount of intestinal bleeding and multiple noduli in our case. 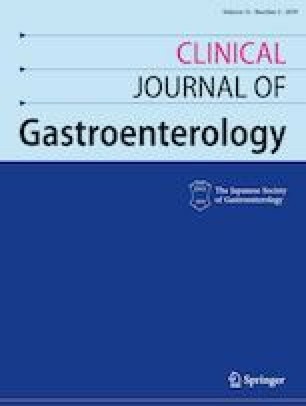 The reason why gastrointestinal bleeding might be attributed to the invasiveness of submucosal vessels by the tuberculosis bacteria. And the multiple noduli on the bowel wall might be the granuloma formation. Therefore, from the experience of our case, gastrointestinal tract might also be the first and only involved site, and it may cause great amount of bleeding to a life danger, even in young people. Jing Liu and Ge Bai contributed equally to this work. We thank Juan Wei in Philips Research for her literal correction. I would like to declare on behalf of my co-authors that the work described was original research that has not been published previously, and not under consideration for publication elsewhere, in whole or in part. This study has no potential overlap with other already published material or material being evaluated for publication. All the authors listed have approved the case report that is enclosed. Jing Liu, Ge Bai, Jianxing Qiu, Yan Chi, Xiaoyu Hu, Yong Huang, Xiaoying Wang, and Huahong Wang declare that they have no conflict of interest.